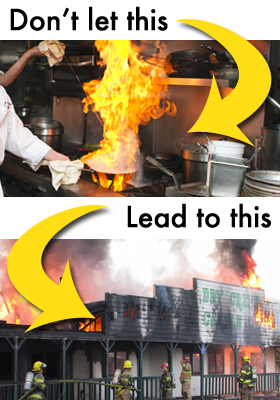 According the National Fire Protection Association (NFPA) the majority of restaurant fires originate on the kitchen cooking appliances and flare into the kitchen exhaust system. 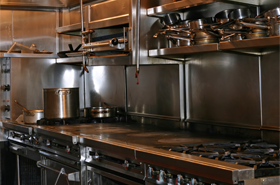 Regular inspection, cleaning and maintenance of a restaurant’s kitchen exhaust system is one of the primary defenses against fire hazards.  By keeping these systems working at their best, they will evacuate the smoke and grease out of the building and produce a cleaner, cooler kitchen and better working environment for staff. Only a complete cleaning of the system from the hood in the kitchen to the fan on the roof will reduce the risk of kitchen fires and ensure compliance with fire regulations. Proper access – Building codes state that the interior of the system shall be “reasonably accessible for inspection and cleaning.” As a general rule, if the ductwork interior cannot be inspected, in cannot be properly cleaned. Access doors when properly placed in the duct work will allow the exhaust cleaners to clean all of your ductwork. According to code, access panels should be placed on the sides or the top of the duct work, in every change of direction, every story, and every 12 foot of horizontal. Also depending on the type of fan, you may have to have one installed so that access to the fan blades can be achieved. All exhaust systems are equipped with fans, which must be included within the scope of cleaning. According to codes, hinge kits must be placed on the fans. This is done to protect the fan, the wiring and the exhaust techs that are lifting the fan off of your duct. 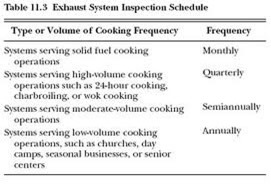 Frequency of cleaning guidelines as set by NFPA Code 96. Professional cleaning contractors will supply a certificate of performance (hood sticker) which is placed on the hood. If there are inaccessible areas in the ductwork, that will be checked. The company name, date of cleaning and name of the technician performing the cleaning will be on that sticker.